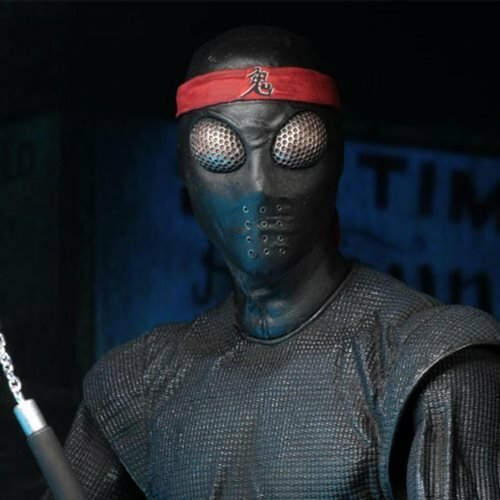 From the 1990 Teenage Mutant Ninja Turtles movie comes the Foot Soldier. 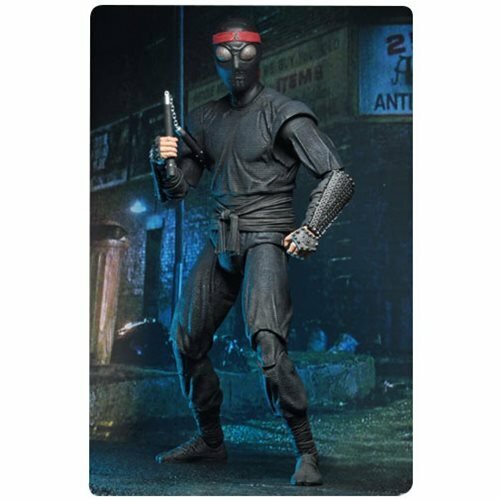 The faceless soldiers of the Foot Clan exist to carry out the bidding of their mysterious leader, The Shredder... and while they lack the skills to face the Turtles one-on-one, in great numbers they are a force to be reckoned with. 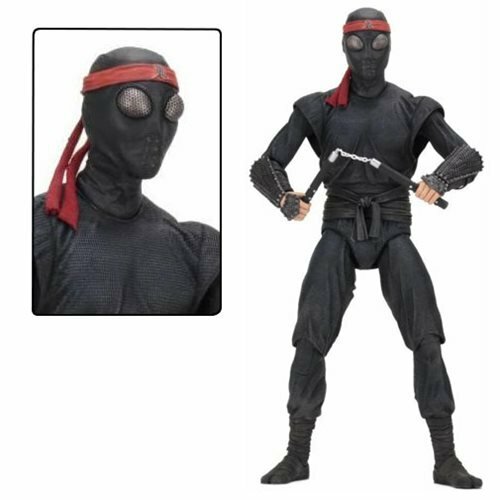 The Foot Clan Soldier stands 18-inches tall and features over 30 points of articulation, including double knee and elbow joints. 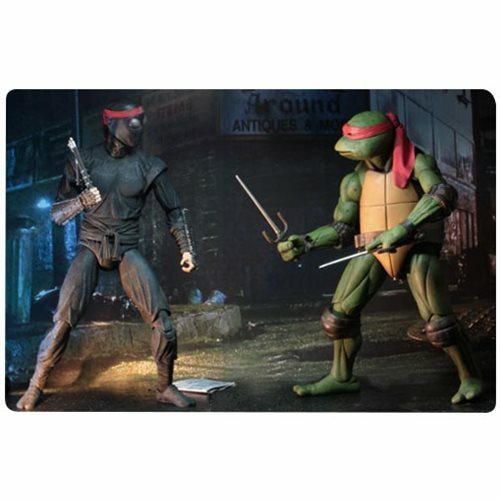 The figure is highly detailed and entirely accurate to the movie, and comes with an arsenal of ninja weapon accessories.